Lilian is a nanny, part of an estimated 200,000 domestics employed in New York City. 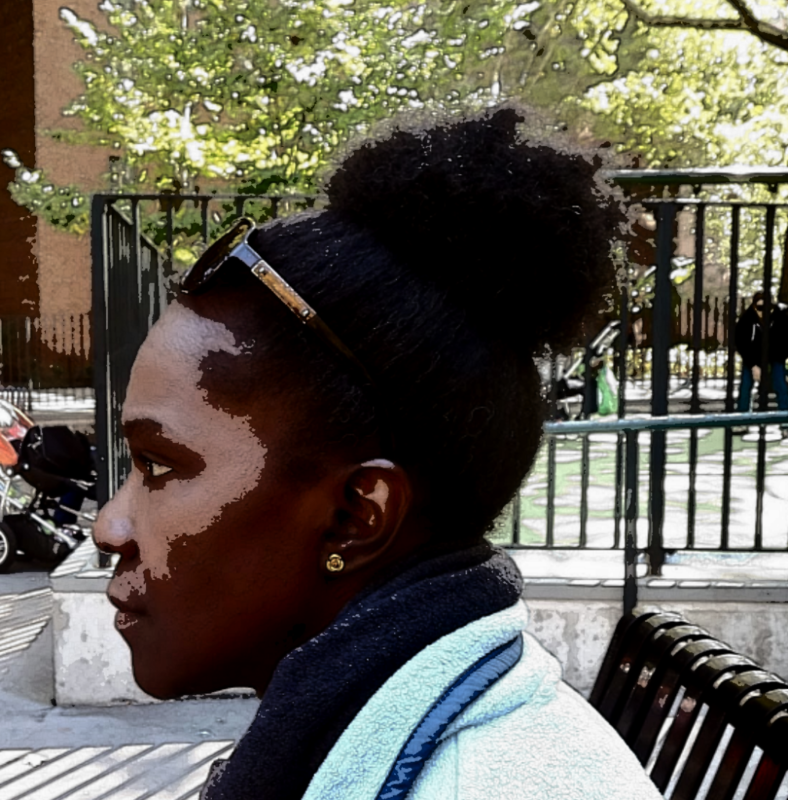 With her smooth, chocolate-brown complexion and voluminous afro gathered in a high bun, she appears no different from any African American woman living in the city – except her accent. She speaks as she is a tropical songbird, rolling her r’s and overstretches her vowels, adding an exotic musicality to her speech. Is it because she comes from Paramaribo, Suriname? Is it because she speaks taki taki, a creole language that mixes English and Dutch, back home? Lilian laughs and explains that when she speaks taki taki, she sounds like she is speaking broken English. Friendly and talkative, Lilian is as warm as the weather back home. As she recounts her journey – she arrived in New York in 1991, two days before Christmas – she spins a tale of love, marriage, children, and work. She has been here for over twenty years, and she misses home. One day, she vows, one day she will return to her country and climb a mango tree. This entry was posted in Profile, Reporting, Reporting NYC and tagged immigrant story, nanny, Q&A on October 9, 2013 by Sherry.